The world’s largest car rental brand operates hundreds of ExpressRentTM kiosks powered by Live Expert. Using Live Expert, customers can instantly video chat with an agent for live, face-to-face services at airports and off-airport locations. Live Expert interfaces with kiosk devices for driver’s license verification, payment, and rental agreements. Live Expert displays on-screen instructions for customers, handles exceptions, and seamlessly uploads data to Hertz’s reservation system. Live Expert solves a myriad of challenges in providing outstanding customer service at physical locations – handling fluctuations in customer traffic at each location, minimizing wait times, ensuring agents have time for upselling, decentralized training, and maintaining high levels of service quality and brand loyalty. Using Live Expert, Hertz gains a rare combination of benefits – lower operating cost, higher service level, greater revenue per customer, and greater market share. 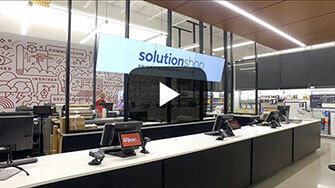 Staples Canada is undertaking the retail industry’s most ambitious business transformation. Key drivers of this transformation are Services, Learning, Shared Workspace, and Fashion-Forward Products. 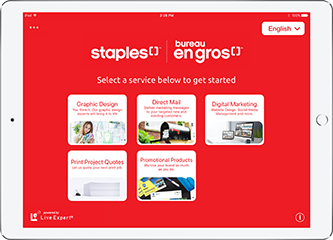 Live Expert is an integral part of Staples Canada’s expanding services business, allowing them to efficiently provide a wide range of professional services to instore and online customers. 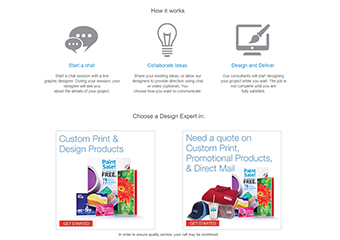 These services include graphic design, direct mail, digital marketing, print projects, and promotional products. Live Expert connects each customer in real-time with an available marketing specialist for the selected service. 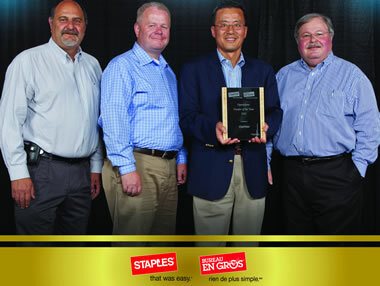 Staples Canada has used the Live Expert system since 2009, and in 2012 recognized ClairVista as Vendor or Year. 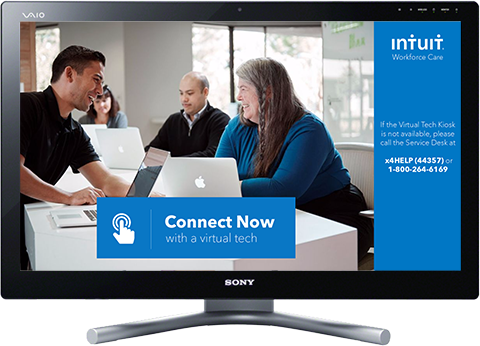 Intuit, one of the world’s premier software companies (providers of TurboTax and Quickbooks), uses the Live Expert station to provide technical support to its employees at Intuit offices around the globe. With one click of the station screen, users are instantly connected to an available support agent who can assist them using video chat and onscreen information sharing. By providing services via a widely distributed consultation terminal, Intuit can leverage a centralized team of expert resources and make them accessible to all office locations at any time. National Business Furniture is an online office furniture business revolutionizing the convergence of physical and virtual retailing with our Live Expert system. NBF uses Live Expert Anywhere, our 100% browser-based video chat module, to provide consultations and live product demonstrations to online customers. With one click, customers are immediately connected to an available furniture advisor. Advisors operate in a showroom specifically designed for product demonstrations. Using video, the agent is able to show customers the details of actual products. Advisors also share digital content with customers to show color, fabric, and finish choices. Live consultations and product demonstrations significantly increase customer conversions and order sizes. DCTR is Canada’s #1 car rental company. DCTR uses Live Expert kiosks where customers can instantly connect with a rental agent for live, face-to-face car and truck rentals at locations like VIA Rail train stations. Live Expert interfaces with kiosk devices for driver’s license verification, payment, and rental agreements. Live Expert displays on-screen instructions for customers, handles exceptions, and seamlessly uploads data to DCTR’s systems. Using Live Expert, DCTR has been able to cost effectively increase consumption of vehicle rentals, while also increasing their market share. ASEQ administers student health and dental plans on college campuses all across Canada. ASEQ uses Live Expert stations to give campus students easy access to Studentcare Member Service agents to address their needs via video chat and interactive information sharing. ASEQ has found that using Live Expert stations is a cost effective alternative to maintaining physical offices with onsite staffing. They can also offer expanded hours of service, which would otherwise be costly with onsite offices.